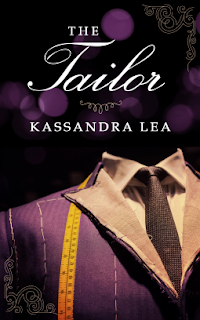 This story had a lot of promise, where clotheshorse Bartholomew realizes his tailor is his perfect man. It’s one of a series of shorts all themed on suits, and who doesn’t like a sharp dresser? Unfortunately, the story wobbles all over the place, with the beginning headed in some different direction than the middle or the end. Bartholomew is a very indistinct character, worried strictly about himself, until an outrush of thoughtfulness makes the story charge off in a different direction. Changing one’s mind is fine, it there’s some support for it, which isn’t obvious here. Walden isn’t introduced until nearly the halfway mark, and he comes off in a very Victorian, dormouse-y way. This adds to the sense of disorientation in time, as Bartholomew also feels like a relic from the past as a Dickensian fussbudget in a rush to kowtow to his boss. Walden at least knows what he wants. Aside from Bartholomew’s dress sense, there’s no apparent reason for Walden to feel this strongly about him, and there’s no obvious attraction from Bartholomew back. It's “oh, you could come along” not "I really want to be with you.". I get the feeling Walden gets kicked by life a lot. Getting asked out by Bartholomew is actually a life kick more than a good thing. Basically, I’m not feeling any chemistry, and so the lack of on screen intimacy is a good thing. There’s no support for it.